Nowa wersja nadwoziowa Grifo - targa. Fidia to trzeci model Iso wykorzystujący to samo podwozie, tym razem przedłużone w stosunku do Rivolty o 152 mm. Jest to luksusowy, czterodrzwiowy sedan zaprojektowany przez studio Ghia, reklamowany jako "cztery najszybsze fotele świata". Due to its solidness, the Iso Rivolta, in production since 1963, has gained a certain reputation. It has the engine of the Chevrolet Corvette giving a truly remarkable temperament. But above all, driving comfort, the rich equipment and the careful build of the car are praised. 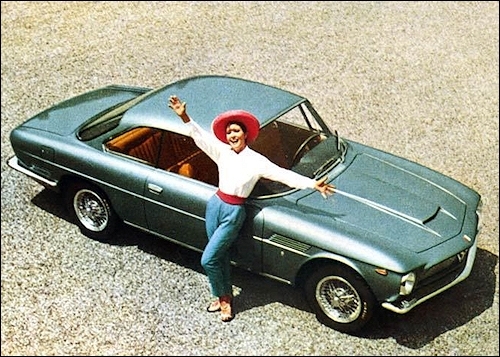 While the Iso Rivolta is a luxurious family vehicle, the Grifo has a decidedly sporty character. Naturally, it struggles to compete against such sonorous brands as Ferrari, Maserati and, more recently, Lamborghini.